A love of owls has lead our entire family to local conservation areas to meet bird of prey education sessions. We have borrowed countless books about owls from the library. There was an owl birthday party, complete with an owl cake, owl crafting and owl loot bags. Every new owl exploration has involved reading, writing, creating. Following a child’s passion will always lead to learning. 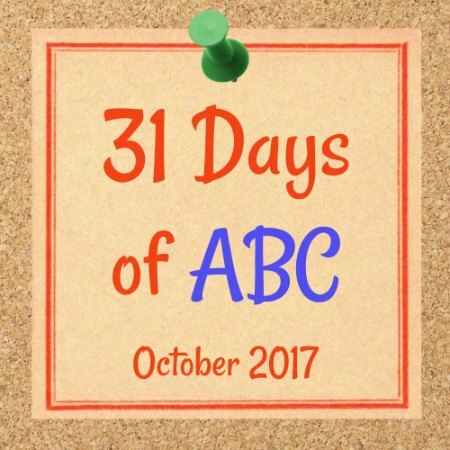 So, when I was thinking about contributing to the 31 Days of ABC’s series this year, I knew we had to select the letter “o” and we had to create a fun owl activity. 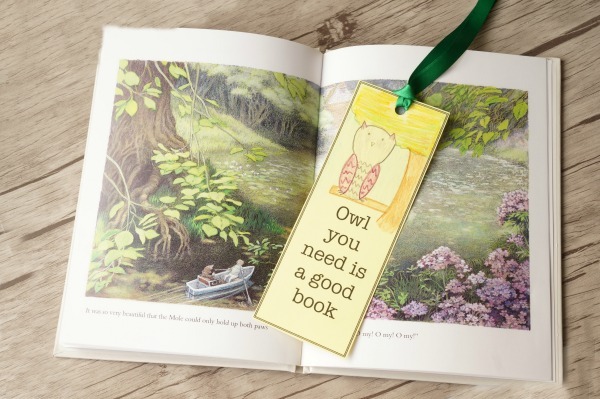 Inspired by all the owl books my daughter has read, we wanted to make an owl themed bookmark. 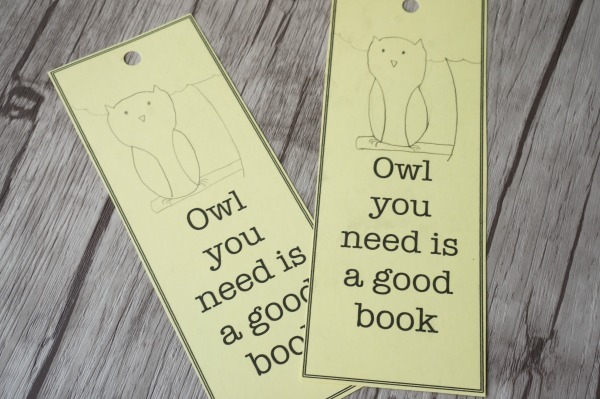 We designed a blank printable owl bookmark. Print off the bookmark and let your kids get creative. Depending on the age of your child, this bookmark will look very different. A preschooler, an early reader and a grade schooler will use their imaginations differently. 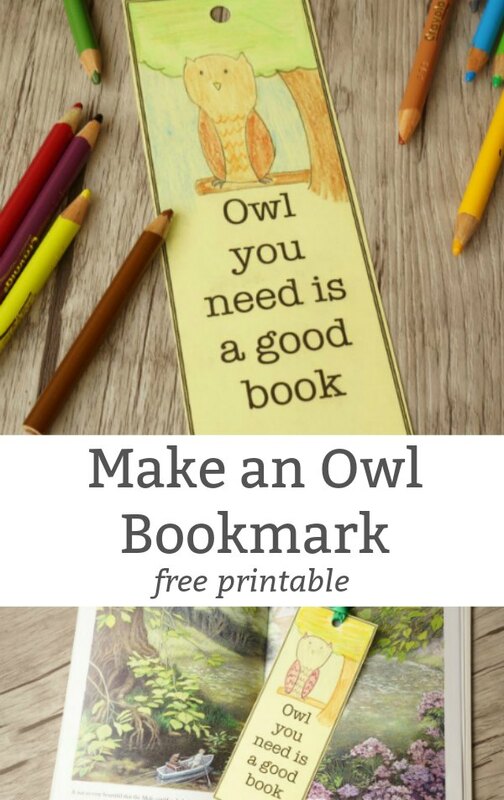 Print off the blank owl bookmark template. We used heavy card stock paper so that our bookmark will be more durable. 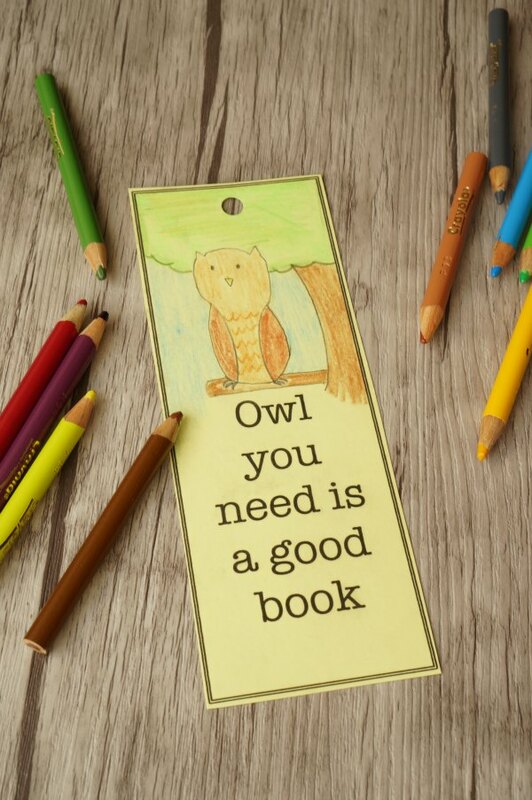 Next, it’s time to start designing the owl bookmark. 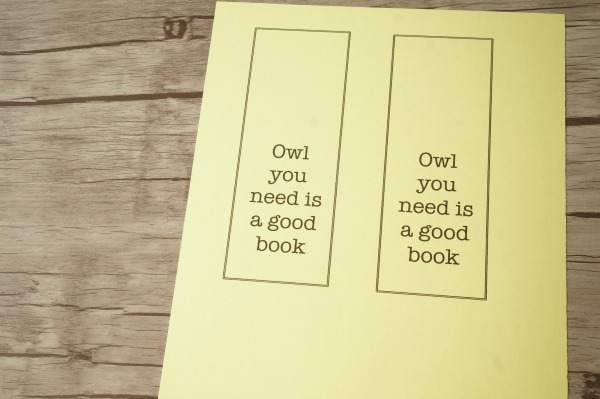 We chose to use the quotation “Owl you need is a good book”. Feel free to add have your child add her own words to the bookmark. “Reading is a hoot” “Owl hold your spot for you”. My daughter chose to draw owls sitting on a branch in a tree – one is a little more colourful than the other. Take inspiration from some of our favourite owl books. Punch a hole in the top of the bookmark. Then feed the ribbon through the hole. Make sure the piece of ribbon is long enough to fall outside of the book. Doesn’t it look lovely in our Wind in the Willows book? 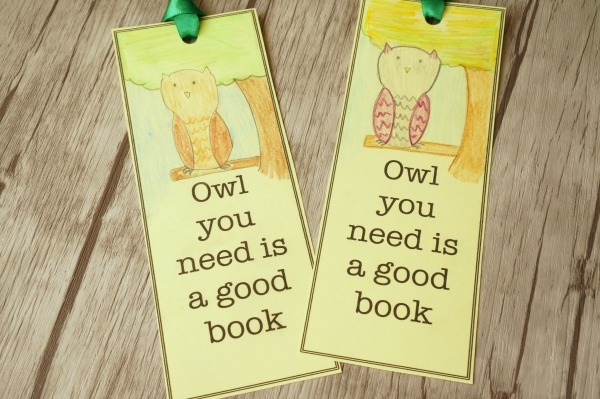 These bookmarks are a beautiful reminder of my daughter’s love for owls. They are also a chance to encourage her to read and write even more. What is your child’s passion? How can you support that passion with learning opportunities?